The event takes place on the 23rd of May starting at 20.00. “The Topic is…” is a regular bar night for soulful music in all its facets, hosted by Marian Tone of Beat Kollektiv and Panke. 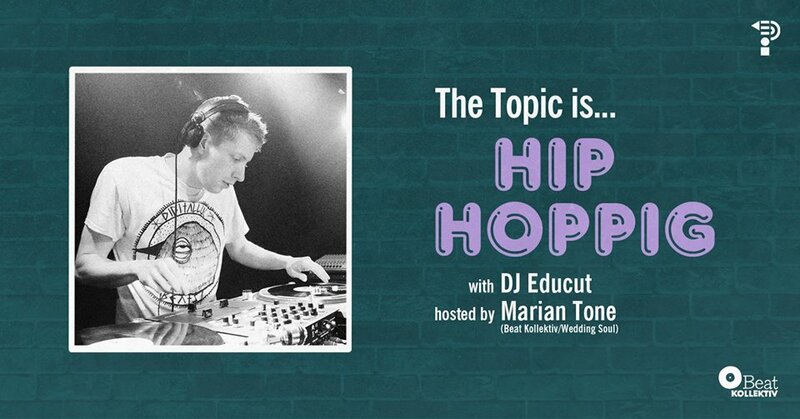 For the 4th episode he invited DJ Educut, who is known for his more than solid DJ skills and selections of beats and Jazz, because The Topic Is Hip Hoppig!